It's usually a bad sign when you find rules you once played avidly but have forgotten you owned....been there, done that! Looks like an interesting set. 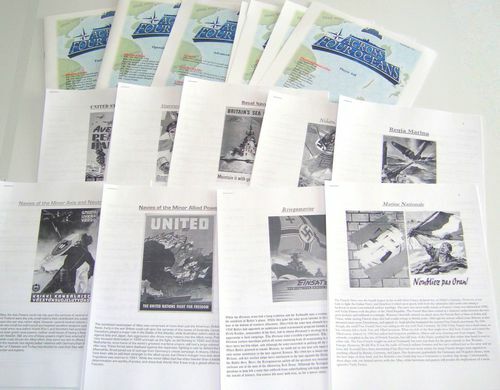 Across Four Oceans is a detailed development of the Axis and Allies set that I played an awful lot of. A4O I have not used as I never got around to doing so. That sad state of affairs will be rectified shortly though!